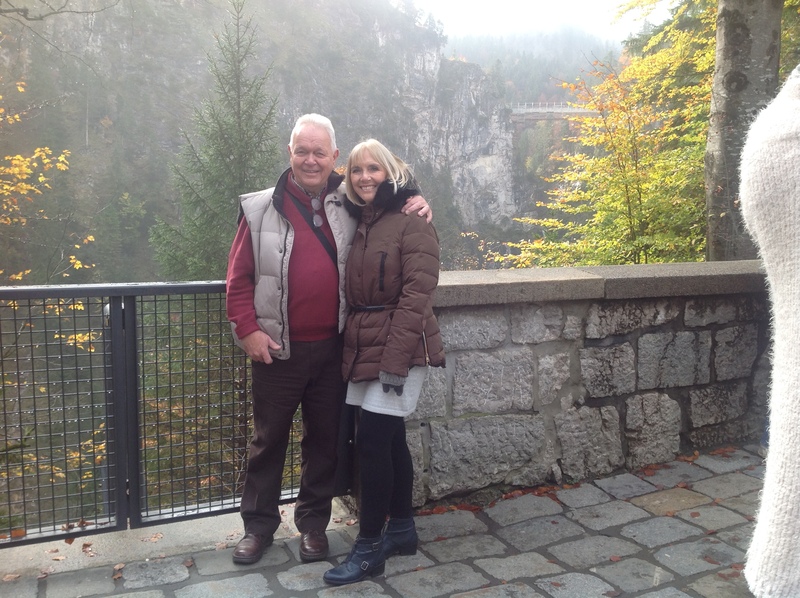 Roger Newberry – retired teacher – now full time husband, father and grandfather. I was born not too long after the end of the Second World War in Grangetown, Cardiff. I grew up in a council house in Llanishen, a suburb in the north of the city. It was, in many ways, an idyllic childhood. We had streets with very few cars, where we played our childhood games. There was a wood nearby, where we played in streams , built dams, fished in the stream and in a nearby newt pond. We often took some bread and jam and had picnics and always felt safe. At the end of every day, I went home to parents who loved me and made sacrifices for me, my brother and sister. I am a Christian and I met the young lady who changed my life in church where we were young people together. She became my wife and my life in 1975 when I was a young teacher. The adventure we began together in 1973 has been a remarkable one. You can join us in this adventure anytime you like…just click on the links on the left… and don’t forget to look in the archives. I would love it if you left a comment or two. I always enjoy reading your blogs.. So lovely to hear of your super childhood. You passed on that care and love to the children you taught Roger. This is lovely and full of imagination, i drift away reading your posts. Keep going! I have just stumbled upon your “ramblings”. I was also a pupil at Howardian but just a few years before you. The yorkshireman “Archie” was my headmaster, and yes, “Slinky” was his very much feared deputy. But the greatest influence on my life, even now, were four teachers “Plug” Roberts, the art teacher, Tom Foster, my english teacher, Dewi Williams also an english teacher and my young maths teacher whose name now escapes me. A fellow pupil in my time was Owain Arwel Hughes who became famous as a Conductor, I think of the Hallé Orchestra, and as a Composer. I went on to become a Civil Engineer and spent all my working life in Yorkshire. I now live in Belgium and although retired remain very active in the amateur film world here. It goes without saying that should you wish to contact me please feel free to so! But anyway, thanks for the the memory! Howardian School was the BEST!!! Just like Ian Roe who commented earlier, I happened upon your Howardian HS notes and immediately had vivid – overwhelmingly pleasant – flashbacks. THANKS Roger for that delightful jolt. Like Ian, my Howardian years were 1955 – 60. I left after O Levels and then “went posh” for my A Levels to Taunton School! Howardian was still fairly new in ’55 and keep to the left, daps only, polite to those in gowns were the basic rules. Not to forget the embarrassment of detention standing in the main lobby. Akin to a public execution! As well as those teachers Ian mentioned – Tommy Foster and Dewi in particular – I also recall Walter Locke my swimming coach; Fred Whitlow gym teacher played cricket for Barry; Jogger Thomas (probably Geog-a) who was a Wales table tennis star and sharp cricketer; DA Jones (Dadge) who also was a pretty good 880 runner. Selwyn Wyatt who later taught at HHS was a few years ahead of me. I was always jealous of the Catholic and Jewish boys who could skip the weekly RI class. Sneaky bastards! Dai Phillips and (Graham?) Sullivan were two I remember. True that Slinky Lloyd was a real pain at times. He caught me climbing through a classroom window once from the front playing fields. As I look back that was not the smartest move of my childhood. My bum still hurts. I fell in love with a New Yorker and moved to US in ’69. Since then we’ve had magical time in NY, Baltimore, Washington DC, and Charlotte. Now thrilled to be retired and close to five grandbrats in North Carolina. But I still watch every Six Nations match and all the cricket I can thanks to cunning but probably illegal links online. I don’t mind sharing my email luvmilo@yahoo.com if anyone chooses to drop me a line. Thanks again for the memory jog, Roger and Ian. I was a pupil at Howardian Grammar from 1952-1957.I enjoyed reading Ramblings and recall fond memories of our school. Dewi Williams lived in Claude Road, Cardiff just two streets from where I was brought up. I remember Mr Heale and Mr Baber who taught geography. Mr Lloyd was a disciplinarian but I never crossed him. I recall Mr Gomer Evans whose advice to us on the rugby field was to tackle low quote ‘they can’t go anywhere without their legs as a fullback it was good advice to me. I live down in Devon now and I retired from the police service in 1996. I was at Howardian from 1961 to 1968 and I think I remember you vaguely as I think you were in the year below me. I certainly remember all the teachers you named. I also became a teacher, first in London then Manchester. I was brought up in Llanishen,.We lived in Wolfs Castle Avenue off Heol Hir. I also used to fish for newts in the Glider woods. I certainly remember Slinky. He caned a boy called Edwards in front of the class. It was about the second week I was at the school and it certainly made an impression. The teachers I most respected were H.S. Roblin, D.A. Jones, M.E.M. Jones and D.L (Dewi) Williams and of course Tommy Foster. By the time I was in the sixth form Dewi had a flat in Westgate Street, overlooking the Arms Park, which I think was his idea of heaven. My closest friend at school was David Stotter, although we did fall out a few times. He also lived in Llanishen, off Fishguard Road and became head boy. I could go on, but I`ll leave it there for now. Hi Roger. Hope you remember me. Paul Davies. Loved your blog. Brought back SO many memoroes. Are you still in touch with our old mates ?